Our 20mm (and 19mm in some cases) straps are the perfect companion for your Omega Speedmaster ‘Moonwatch’, whether it is a new reference or a vintage one. 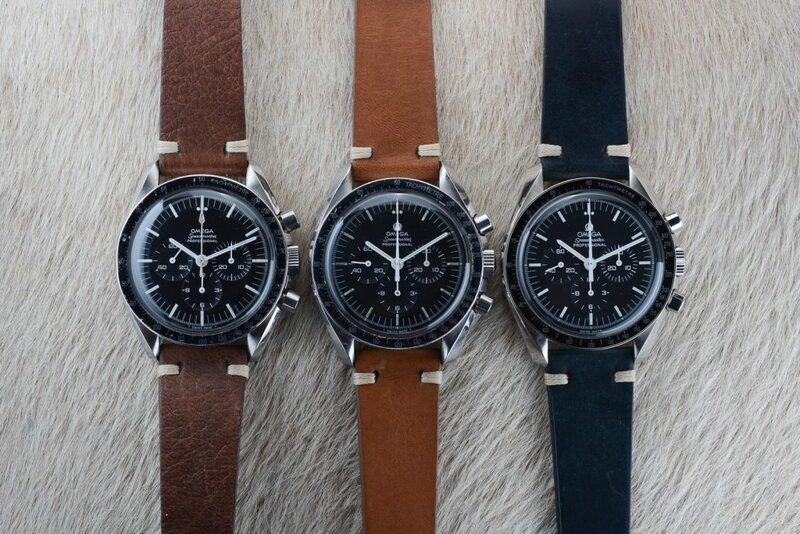 Below, you’ll find the Speedmaster reference 145.012-67 on our brown vintage leather strap, in the center is a Speedmaster reference 145.022-69 with a camel leather strap and on the right is a modern Speedmaster reference 3570.50 with our black leather strap. All straps have the off-white stitching. With these straps you can give your modern Speedmaster a more vintage look & feel, and on vintage watches it underlines the production era of the Speedmaster. The straps are soft and comfortable on the wrist, have leather lining (inside) and suit most wrists. More details on the straps can be found on the product pages. 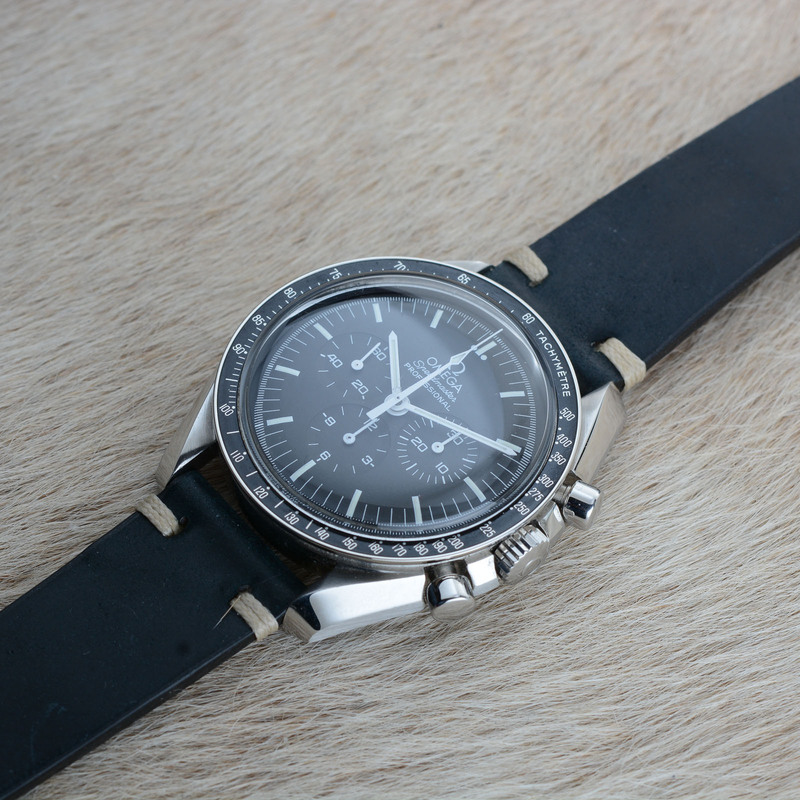 Most Speedmaster (Professional) watches have a 20mm lug width, older models (105.003 and older references) have a 19mm lug width. If you are not sure about your watch, make sure to measure before you order. Prices start at 59 Euro (including shipping, world wide) and come, of course, with a steel buckle. Go here for the shop.